Points received by the User from Vocotext will go into the general pool fund. This will be won at the weekly, monthly, quarterly or yearly draw and the lucky winner will get a prize from Vocotext. 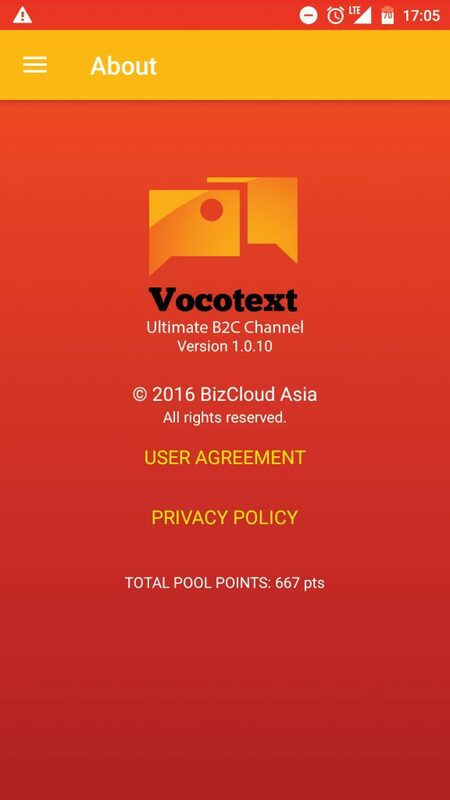 The Pool Fund is a generous contribution by the Vocotext team who just wants to see B2C communication reach a higher platform of quality and excellence.